Light, fluffy snow didn’t cause widespread electrical outages during the past two storms. Cold temperatures kept recent snow light and fluffy, preventing widespread power outages that heavy, wet snow can deliver. A loose power line near 32nd Street and Main Avenue was responsible for two large outages on Saturday and Monday, said Justin Talbot, La Plata Electric Association’s manager of operations. The outages affected nearly 1,000 customers both times. The line responsible for the outage was repaired, and LPEA doesn’t expect any more outages in the area, Talbot said. Wet snow sticks to power lines, weighing them down and causing regional outages, but that did not happen, he said. As residents across the region begin to dig out from the recent snow, LPEA staff are concerned snow-moving equipment, such as plows, will displace the utilities transformers in large green boxes, he said. “It is not common, but it does happen,” Talbot said. Small animals, such as skunks and raccoons, can also cause electrical outages in the winter when they try to get close to the heat coming from transformers in LPEA’s substations, because they are trying to stay warm, he said. 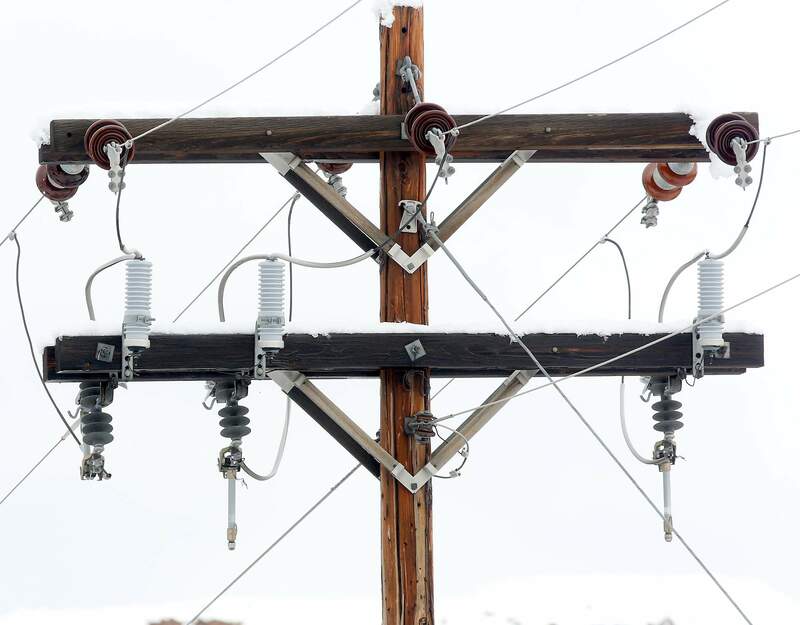 LPEA put up 4-foot electrified mesh fences in the last year around substations in Bodo Industrial Park, Pagosa Springs and other locations to help keep animals out and prevent outages, he said. “It gives them a zap,” he said. The shock is enough to scare small animals, but it won’t hurt them, he said. LPEA may install more electric fencing around substations depending on available funding, he said. All this snow, where does it go?